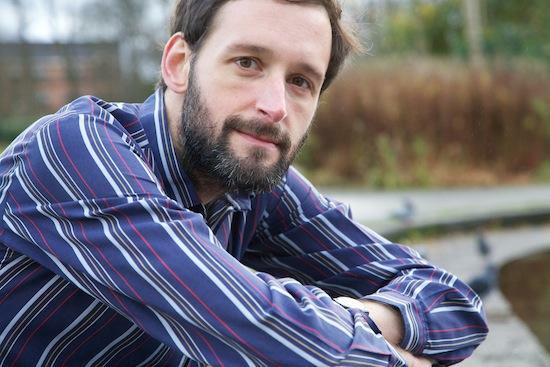 Alasdair Roberts' personal musical landscape is one navigated by the compass points of composition, collaboration, interpretation and inspiration. Simultaneously a synesthesiatic collision of colour and innumerable shades of windswept grey, listening to his music is nothing less than a voyage into the soul of a man consumed by the workings and heritage of centuries of songwriting and storytelling. Roberts' is a music inspired by musical theories (although he's keen to point out that he has never studied music academically), a childhood informed by the British folk music scene of the 1960s and 70s — his parents were musicians who booked touring acts to play in his mother's native Germany — his teenage years taking in everything Peel and an unending enthusiasm for playing with others. The decade-and-a-half he's spent signed to Drag City has borne a wealth of material, from his initial output as the only constant member of pastoral folk oddballs Appendix Out through collaborations with Will Oldham and his friend the late Jason Molina, to his recent collaborations with the alumni of Scottish folk and indie. Time invested in Roberts' music is time well spent deep within a parallel culture - a culture of forgotten tradition, bygone theory and one unsullied by the conventions of what one would presume necessary to sustain a livelihood as a songwriter in 2013. Throughout his career, ancient ballads have shared record space with his own compositions, and since the lines between the two are so gloriously blurred it doesn't seem hyperbolic to posit that Roberts' take on the music of our ancestors places him assuredly at the modern fore of a lineage of composers hundreds and hundreds of years old - his is an absolute respect and understanding for what has gone before, but with an undying keenness and ability to progress it, both in terms of composition and listenership. Roberts' enthusiasm shines through in his conversation, in fact recently described perfectly by the Quietus' Ben Graham as being "biblically literate", so to hear him expound upon the music that has shaped his life and his music is truly a pleasure. Erudite, interesting, informed and entirely bereft of pretention; Alasdair Roberts tells us why these thirteen records mean so much to him. NB: Our conversation took place before Jason Molina's tragic and untimely death.